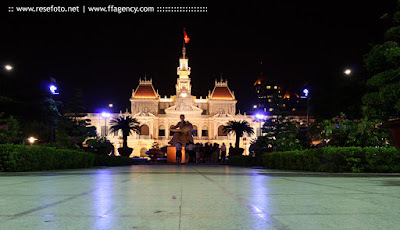 Ho Chi Minh City Hall i Saigon, Vietnam. Foto: Anders Thorsell. 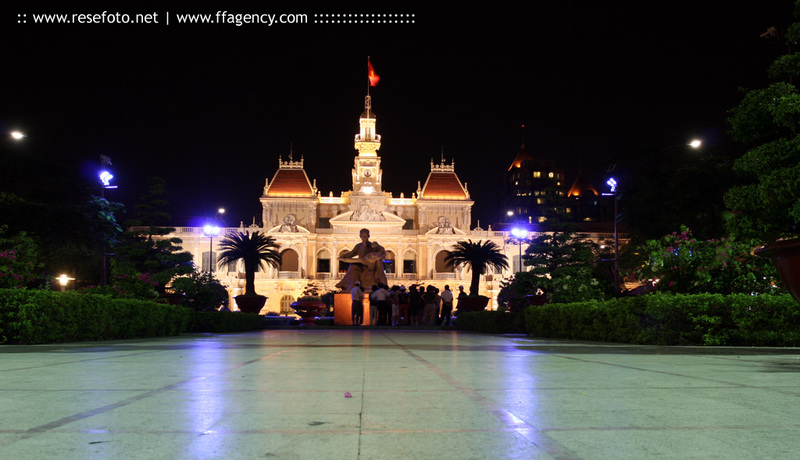 Ho Chi Minh City Hall or Hôtel de Ville de Saigon (Ho Chi Minh City People's Committee Head office was built in 1902-1908 in a French colonial style for the then city of Saigon. It was renamed after 1975 as Ho Chi Minh City People's Committee. Illuminated at night, the building is not opened to the public. A statue of the namesake is found in the park next to the building.